Dental crowns are a common tooth restoration that serves needs that are both cosmetic and structural. Dr. Cheng H. Tai, DDS, MS, PC, in Midtown Manhattan, New York, uses state-of-the-art digital tools to scan your teeth and create the ultimate in custom crown work, offering you the strongest repairs along with the best appearance. Call or click today to book an appointment. What is a dental crown and why is it necessary? Crowns may even be placed on children’s primary teeth to extend their life until adult teeth arrive. There are a wide variety of materials used to make dental crowns, including metals, stainless steel, composite resins, ceramics, porcelains, or combinations of materials such as porcelain over metal. Ceramic and porcelain provide the most natural appearance and are suitable for use by those who suffer from metal allergies. Permanent crowns are made by a dental lab. Dr. Tai uses the iTero® digital scanner to create accurate virtual impressions of your teeth that can be sent immediately to the dental lab to ensure the fastest turnaround time for manufacture. These scans are full-color and 3D, so crowns can be constructed to match your existing teeth visually, or targeted to a specific color or brightness that you choose. Temporary crowns are usually made from stainless steel or acrylics, which can be fitted and formed in Dr. Tai’s office to protect your natural teeth while you wait for your custom crowns. How does the crown fitting process work? The first step prepares your natural teeth to receive the crowns. In the case of a full tooth, it may be ground down to make room for the permanent crown. 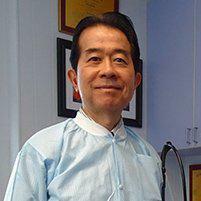 If your tooth is damaged, Dr. Tai may build it up so that it fills the inside of the crown completely. Once your teeth are prepared to receive crowns, Dr. Tai uses the iTero system to make digital impressions of the highest accuracy, the data upon which the dental lab constructs your crowns. Temporary crowns are then fitted, while you wait for your crowns to arrive. After testing and adjusting, the permanent crowns are cemented in place.